Vauxhall has announced its new 1.6-litre diesel engine will be offered in the Astra range after making its debut in the car at the Geneva Motor Show in March. Already available to order, the Astra will come with a choice of 110bhp or 136bhp variants, with CO2 emissions from 97g/km or 104g/km. Vauxhall claims the new diesel, which made its first appearance in the Zafira Tourer in 2013 and joins the revised Meriva range this month, is among the quietest available with class-leading noise and vibration suppression features. 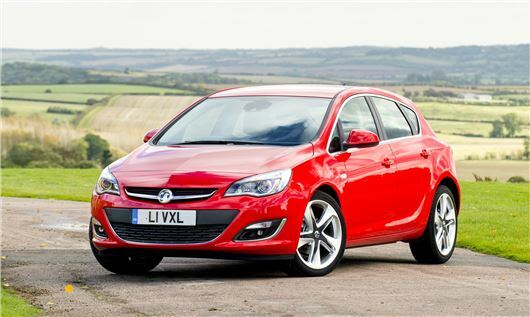 "We are delighted to introduce the 1.6-litre ‘Whisper Diesel' to the top-selling Astra range," said Stuart Harris, Vauxhall's head of car line brand. "The new 1.6-litre engine is Vauxhall's cleanest ever mid-size diesel and is now available on Astra, as well as Meriva and Zafira Tourer." The engines are mated to new five- and six-speed gearboxes which have been optimised for efficiency as well as a smoother shift action. First deliveries of the Astra 1.6 CDTi model are expected in April.